Im going to have to agree with both of you. One of my drivers "Gary O'Conner"has 2 ISC World Speed Records now using my modified JLR .12. And its just a Race Modified version not even a Drag Mod version..... Was tested at 1.22HP and 38 Oz/In on my X-Dyno on a 2607 pipe set. What about the Novarossi 353? If you want the pay for the name, get the Nova 353. If you want performance get the Picco JLR .12 X-Dyno proven and half the price. I have never seen the jlr .12 run, is it comparable to the 353? I am not talkin x-dyno numbers, i mean real life racing. 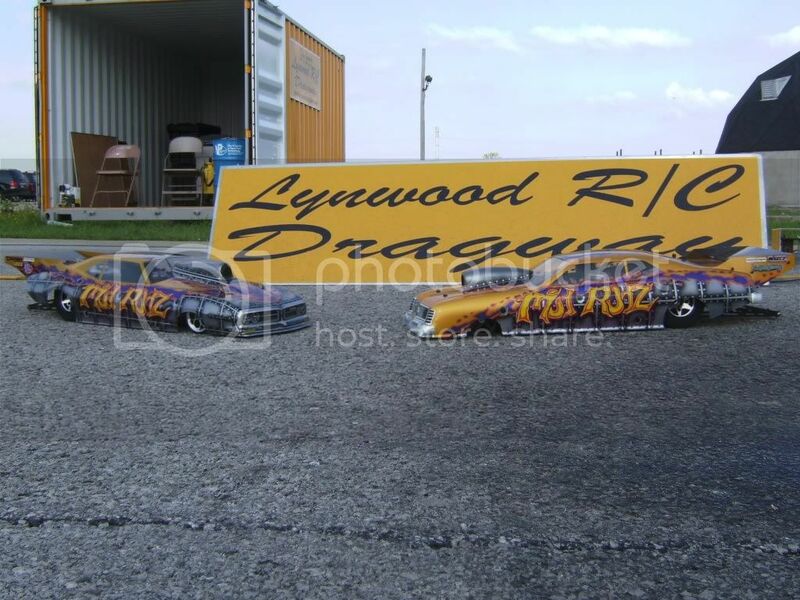 Hey gents, just to say a few words or two...Ive been drag racing for a minute and name brand anything dont mean 2 dead flies,I took in 08 and nocked off mostly all the so call big dogs off with my 21RB Xenon.Yes its a big block but they said it wasnt a name brand so i just nock them off ...lol was totally consistance 1.78s to 1.83s ...even with the baddest motor in your car if you dont know how to tune it and tune your clutch it aint gonna matter...HECK matterwont matter...lol.N ow of course I got now what the big dogs got and Im in the .6s ...but again the tuning and that clutch is what you need to know. Does anyone know. How the JLR compares to the. RBV12 rody 5 port? I put thisX-Dyno testing info together from several sources a while back when I was in the market for the best .12 I could find. I was torn between the Novaand the O.S. until I was told about the PIcco .12.I made a couple bad engine purchases in the past based on here say(guys running by themselves)and blew a bunch of cash. So this time I did like I do every day on the job, research and analyze the databefore investing and got agreat performing engine that runs hard and tunes easy. I now have (3) AB modified and tested engines and they all run like bats outa hell.... just like the graphs show. If you check Dyno graphs on the .18TZ, RB Xenon, O.S. 28 , Picco .28 and many others. They all tested very well, and run just liketested. I doubt you can get anybody that has one of these engines, or have run against one to say any diffrerent. I will never again purchase an unproven/untested engine....no matter who makes it. jlr RB moddded. I have one the push's a stock weight gpx4 2.33 @ 132ft @ 58.9 mph 16/21 pinion 42/47 spur. What's up RUSTY. Good to herethe JLR runnin good man. That time and speed is already faster than the modded .18TZ if Iremember.Hate it,not able to get out with you guys, track and baseball with the boys got me tied down. That JLR still has a bunch left, probably still tight like mine. You can't be much past the half gallon mark can you?Mine only has about a half gallon, but it's just sitting in my G4/RS. LOL. well I got to see a JLR .12 EVO 3 modded by Murnan today run against Novarossi 353's and I will say that I was absolutely impressed with that engine's performance. The guy was just pulling from some of those RB's and Novarossi engines on the straights like a .21 leaving a .12 but they were all .12 engines. I was also impressed by the O.S. .12 XZ too as it was a fast little bugger too. Those two engines proved right there that you don't need a $500 engine to start with to run fast. I talked to the guy and he said that the EVO4 version was getting ready to come out soon. Nice to get confirmation on what you saw first handbya reliable source andengine guru like yourself that own Nova, Picco, O.S. and RB and want to run run the strongest, fastest engines you can,no matter the brand. Why pay $500 when you can pay $175 for better performance and not go bankrupt in the hobby trying to be compettive. I have also gotten the same confirmation from guys comparing the Picco P9R to the Nova 359 and plus .21 on the track, and you know for a factthe Picco .28 is a beast in that class as well as the O.S. 28. I guess the next argument the Nova guys will bring up is engine life.